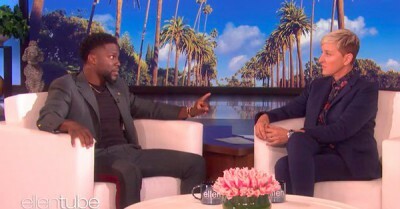 Ellen DeGeneres told her friend Kevin Hart that she contacted the Academy of Motion Picture Arts and Sciences in an effort to get him re-hired as host of the upcoming Oscars. Hart calls the resurfacing of some homophobic 2008 tweets of his an orchestrated effort not only to cost him the Oscars gig but to also kill his career. After Ellen told Hart why she thinks he should take on the Oscars gig again, and that the Academy wants him back, the comedian revealed he will be evaluating their conversation, and will decide whether to take on the job amid his tweet controversy. Where does Ellen come off thinking she is the decision maker for Hollywood? Disappointed in her for this. But, Bill, you do realize she’s a member of the academy don’t you? Any member is more than welcome to call in or write in feedback. I don’t see that she thinks she’s “the” decision maker for the industry. Regardless, she’s misguided here. I hope she comes around.